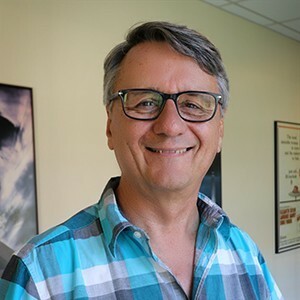 For over 30 years David Parrish has had the good fortune to work as a Cinematographer, Camera Operator and Camera Assistant on a wide variety of documentaries, music videos, commercials, television and feature films; both big studio pictures and smaller independent films. He has shot 16, 35 and 65mm film and has been an active participant in the evolution to digital cinematography. David's work has taken him around the world, allowing him to collaborate with many talented people in front of and behind his camera. David is a member of the International Cinematographers Guild ICG, the Society of Camera Operators SOC, and the Digital Cinema Society DCS. David Parrish designed and developed sunPATH®, computer software used to track the position of the sun for any day at any location. The software has been an essential tool for both film production and photography worldwide. Over 6,000 copies of the software have been sold. David received his M.A. from the University of Iowa’s School of Theater, Film & Television and a B.A. in film production from The Evergreen State College. He attended the Istituto di Stato per la Cinematografia e la Televisione, Rome Italy. David has taught cinematography at Loyola Marymount University and the University of North Carolina School of the Arts.